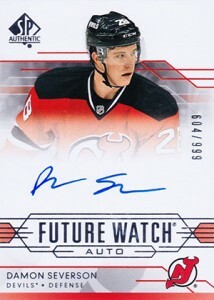 SP Authentic Hockey has a lot of history, especially when it comes to the Future Watch subset. 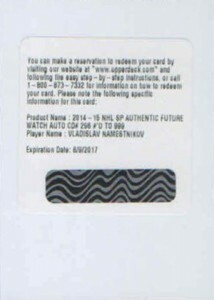 It was one of the sport's first to adopt serial numbering. 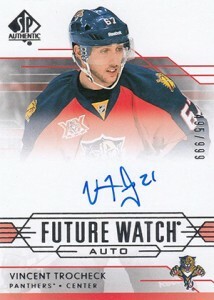 Not long after that, autographs were added to the mix as well. 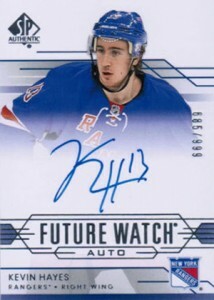 The tradition carries on with the 2014-15 SP Authentic Hockey Future Watch Autographs. 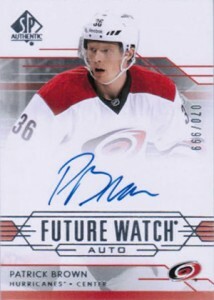 The checklist is a big 60 cards. 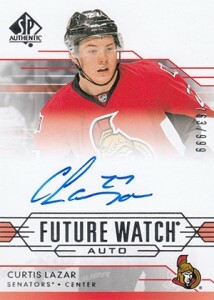 That gives it some depth and multiple cards for most teams. 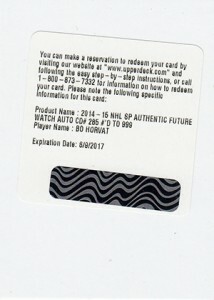 Numbered to 999, the cards aren't all together rare but there's appeal from both set and player collectors. 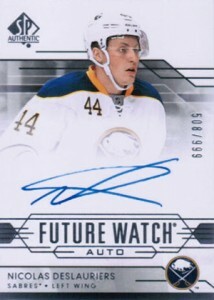 As a result, values on SP Authentic rookie autographs tend to be stronger than a lot of other rookie cards over the long run. 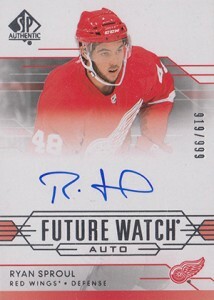 Further adding to the cards' appeal is the fact that they're hard-signed. 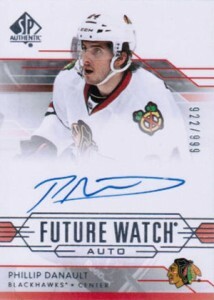 That's a big plus when you look at autographs from many other sets that use stickers. 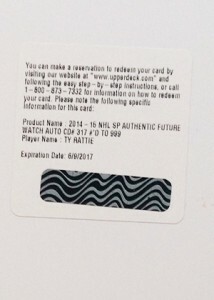 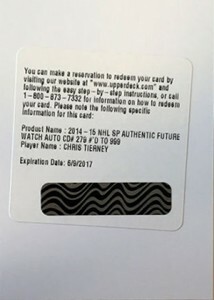 Part of the 2014-15 SP Authentic Hockey main set, they're also rookie cards as opposed to inserts. 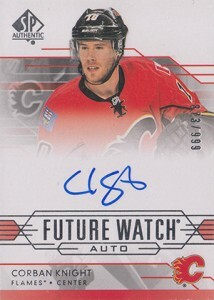 Johnny Gaudreau, Aaron Ekblad, Jonathan Drouin are all present along with all of the season's other key rookies. 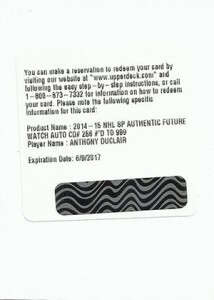 Not all of the cards are live in packs. 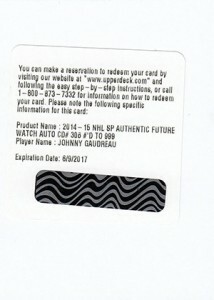 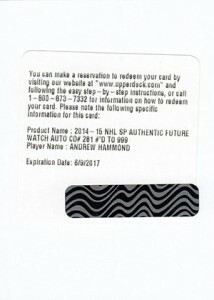 At least 12 (a couple of cards haven't surfaced yet that we know of) are redemptions including Gaudreau. 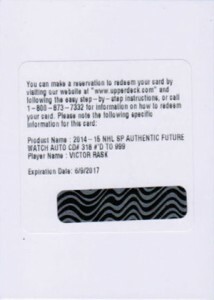 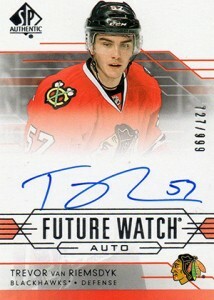 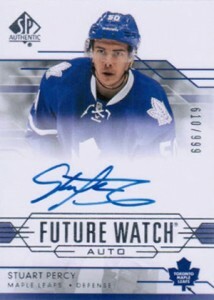 In addition to the signed cards, another 60 players have unsigned Future Watch rookie cards in the set. 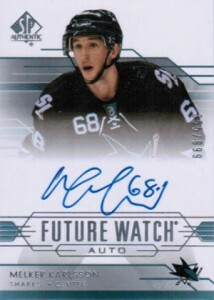 Also numbered to 999, these tend to be lower-tier players. 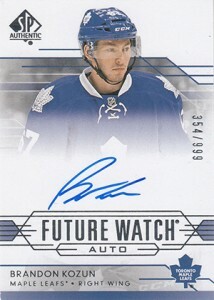 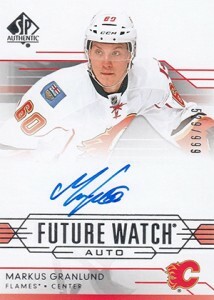 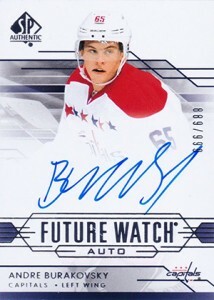 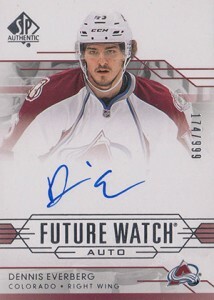 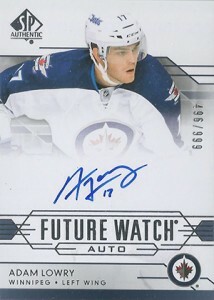 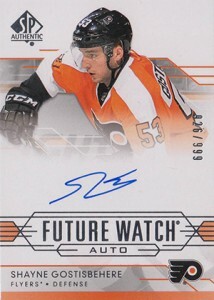 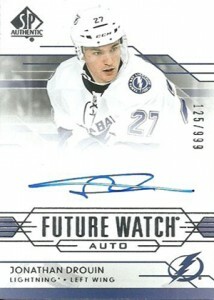 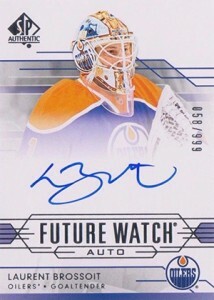 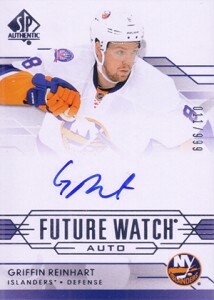 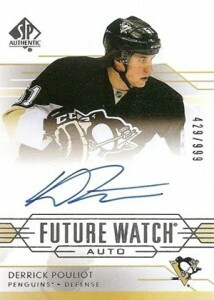 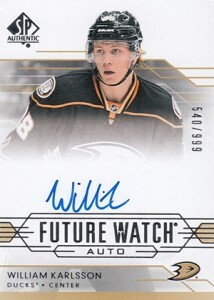 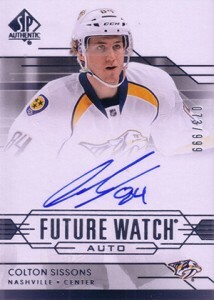 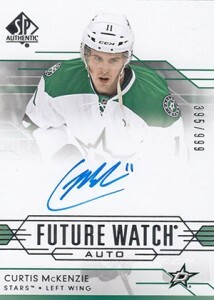 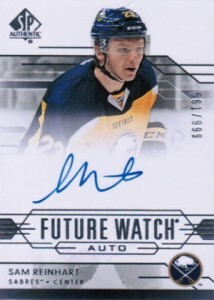 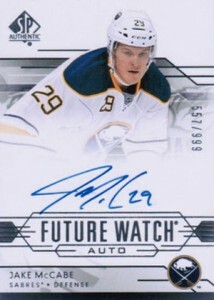 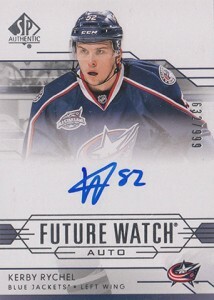 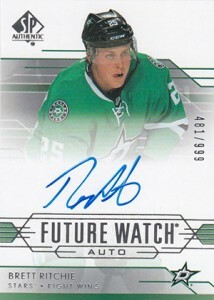 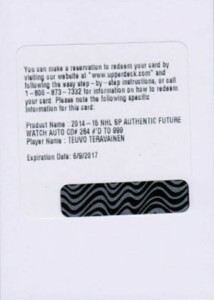 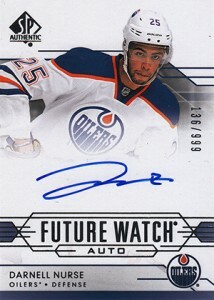 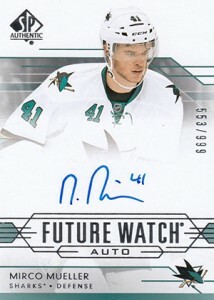 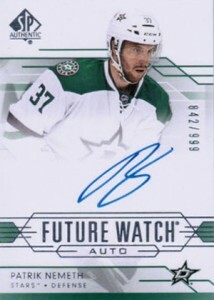 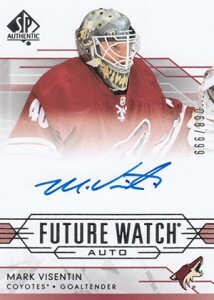 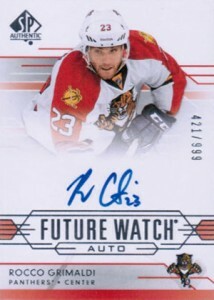 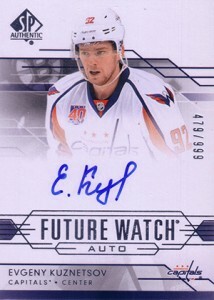 Every 2014-15 SP Authentic Hockey hobby box should have at least one Future Watch Autograph. 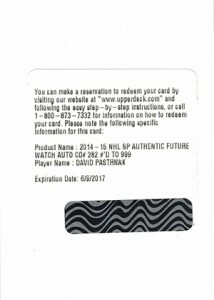 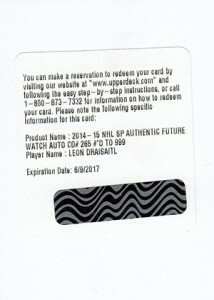 The Ortio and Draisaitl redemptions have different card numbers on them versus what was on the checklist released by Upper Deck. 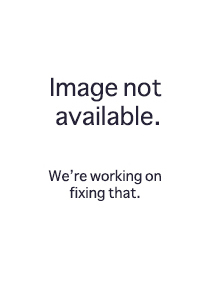 We've placed them in their original checklist spot. 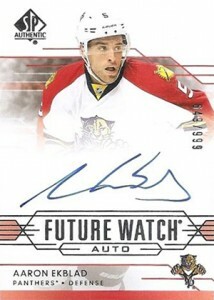 Scribbles is the word these days not autos. 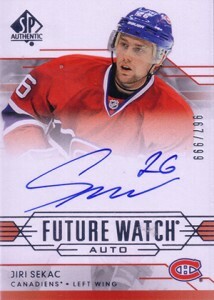 Jean Beliveau was the man for autos.